Having completely failed to get pictures of the Amaryllis flowers from the first spike, I’ll try and do better with the second. 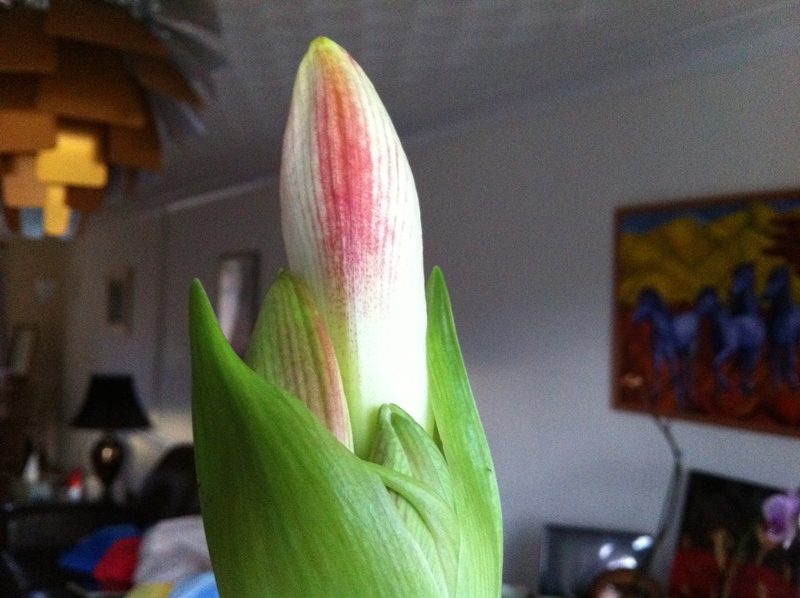 Right now, the top of the spike has opened to reveal four delicately nestled flower buds inside. Over the next couple of weeks, these will grow and unfold and hopefully, I’ll be competent enough to get some pictures when they’re all out. It’s a tease watching it open – the buds seem to unfold so slowly and I get impatient waiting, but then one day all of a sudden, you’ll be faced with a quartet of large beautiful bell-shaped flowers.